Whether you want takeout or a tasty restaurant experience with friends, your neighborhood Thai restaurant provides healthy crowd-pleasers. These filling meals keep you full, provide a high vitamin and mineral content, and most provide a low cal meal or appetizer. Look for opportunities to add a side of vegetables or double the vegetables in your entrée. Learn a word or two of Thai. The word “pla” indicates deep frying. So, that crispy item got that way by bathing in hot, fattening oil. The difference between spring and summer in Thai means the difference between a healthy choice and a not so healthy one. Spring rolls hit the fryer. Summer rolls contain blanched vegetables in a fresh wrap. Both come with dipping sauces. 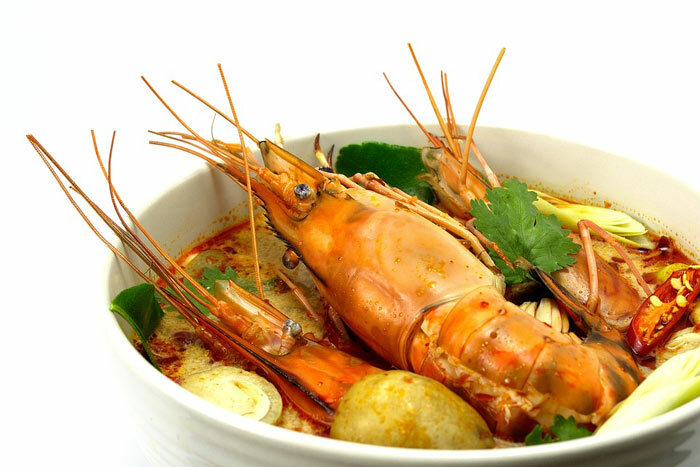 Help fill yourself up with an appetizer like the delicious Tom Yum Soup at The restaurant TAO. You get vegetables and zingy flavor from lime and cilantro. You can add chicken or shrimp for a protein boost. Here’s the perfect time to put some summer rolls on your plate. Try the chicken satay for a double dose of protein, cooked in a healthy grilled manner. 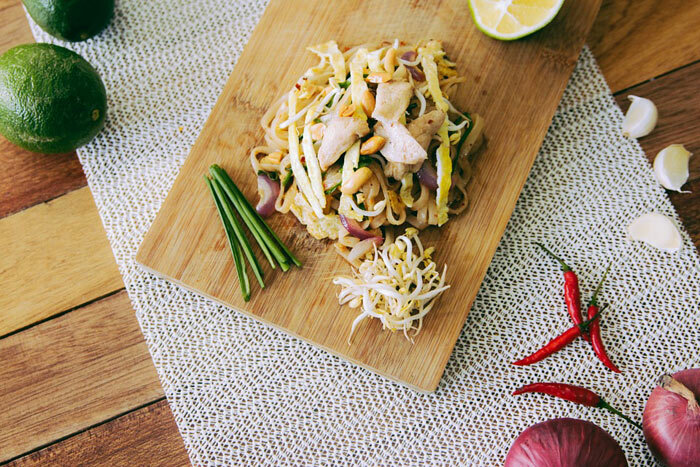 Pad Thai can put 400 calories on your plate for only one cup of food. Cut the calories and add to your doggie bag by adding extra vegetables to your order. It’s all sautéed. Leave out the tofu if you don’t want high calories. Tofu soaks up whatever it’s cooked in, so you’ll little pieces oil. Leave the tofu in the vegetable curry. You’ll get protein cooked in a healthy way. Another curry, Massaman, makes a great healthy choice. Don’t let the coconut milk and peanuts scare you off. The onions, bell peppers and potatoes in this mean you get a balance of protein and good carbs. Fish and vegetables steamed or grilled provide a tasty, healthy meal. Try red snapper or pan-seared salmon. Always include a side of vegetables. The tried and true beef and broccoli also make the healthy list. The beef is lean and there’s plenty of broccoli. Ask for it over brown or purple rice. Go vegetarian for the night. 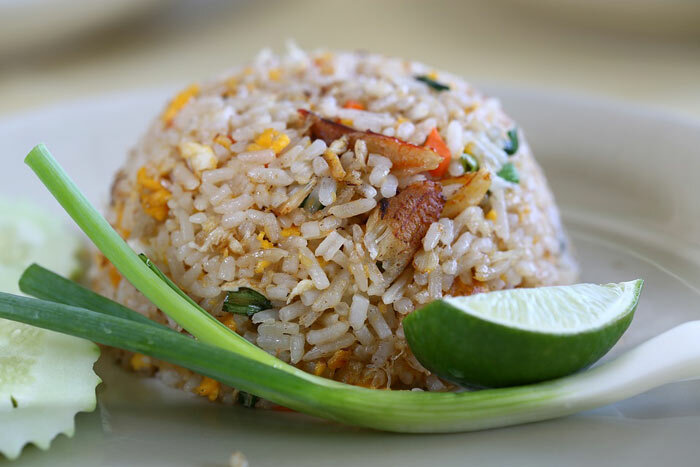 Order the vegetarian version of the spicy basil fried brown rice. Yes, it is fried, but the tons of onion, bell pepper, and chili make up for it. You’ll get protein from the included egg. 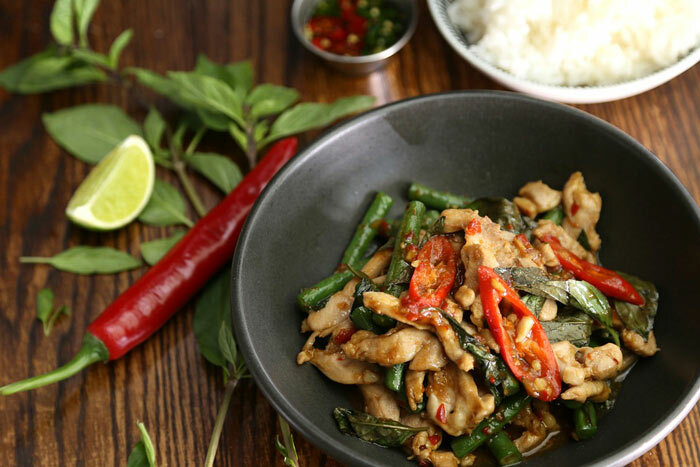 You can enjoy a tasty Thai meal while eating healthy or dieting. Remember to drink water, not the Thai tea that’s loaded with sugar and sweetened, condensed milk. You can have a great meal with friends and put a little spice in your life. Just choose a Thai restaurant and order wisely.